BRIGHTON, Mich. - SEMA has turned out to be a must-follow event for all Ford fans, as the blue oval company has been consistently marveling with an outstanding selection of vehicles. Among the 57 other vehicles on display, Ford has revealed a 400HP Fusion at SEMA 2013. This 2014 Ford Fusion has been modified with a Full Race Motorsports upgrade, giving the vehicle a 2.0-liter EcoBoost four-cylinder engine. This engine has been fitted with a BorgWarner turbocharger, a cat-back exhaust and a cold-air intake - all of which combines to let this beauty produce 400HP and 350 lb.-ft. of torque. This is a huge jump from the current 240HP and 270lb.-ft. of torque that the standard 2014 Ford Fusion produces. Although the EcoBoost and modifications already give the vehicle quite the punch, designers didn't stop there. 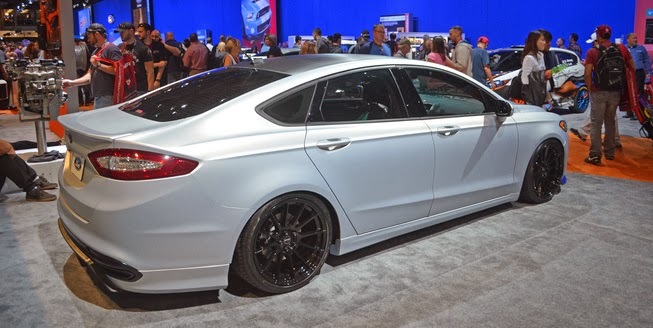 To allow this modified Ford Fusion to perform even better, the vehicle has been given a lowered suspension, upsized brakes, and 21-inch wheels. To keep you entertained inside the car, the Full Race Motorsports performance company has installed custom leather seats by Katzkin, an in-dash seven-inch Android touchscreen tablet, and more. Ford reveals a 400HP Fusion at SEMA - but don't worry, this vehicle isn't exactly out of your reach. 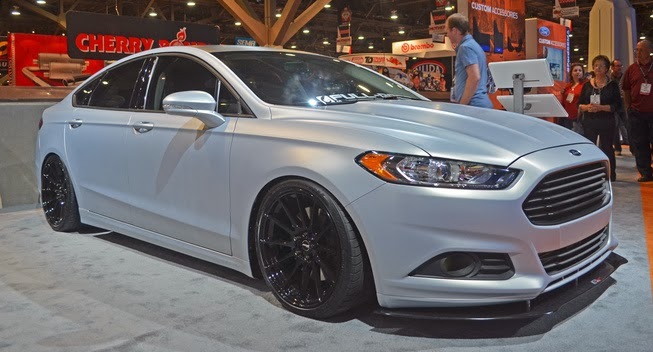 While we can't get you the exact Fusion on display at SEMA, we can get you behind the wheel of a beautiful 2014 Ford Fusion. Plus, we offer a variety of upgrades and are able to get you any accessories and/or parts you need to modify and power-up your Fusion. We are proud to be a Lansing Area Ford Dealer. For an unbelievable vehicle selection, come to Brighton Ford and browse our Low Mileage Used Cars, Certified Preowned Cars, or Ford Cars For Sale. Brighton Ford is located at 8240 Grand River Ave. just north of I-96 in Brighton. We are a family owned and operated business that strives for customer satisfaction. For more information on Brighton Ford visit BrightonFord.com or give us a call at (800) 836-8206.